Without correct wiring, your camper trailer will not have the three essential functions of brake lights, turn signals, and running lights. Without these functions, besides the fact of being on the road with an illegal trailer, the vehicles behind you are delayed in reacting to your actions. 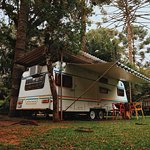 Most camper trailers include amenities such as slides, televisions, appliances, and showers that will not work correctly without proper wiring between the trailer and the vehicle. At Acura of Johnston, our technicians are certified to diagnose, recommend and install the necessary wiring connections your camper trailer demands. We test the wiring to ensure that the links work before you pull off the lot.